Stunning Orangeries add a beautiful space in your home to bring the family closer. Richard Thomas Orangeries add value to your home with the option of being deemed as an official extension under building control. Take a browse through the different types of Orangeries we offer including the Traditional Parapet, Traditional Fascia, Livin Room and Loggia. This real room feel means more styling and furnishing options are available and the orangery perimeter ceiling is perfect for spotlights and, or speakers. A popular choice at Richard Thomas Conservatories, Extensions & Windows. Whichever style you choose, a conservatory from Richard Thomas will transform the way you live in and around your home. We can help you design a beautiful haven that is created for all seasons which will quickly become your favourite room with a view. The Traditional Parapet Orangery has the unique feature of a high facing, castle-like wall with the flat warm deck roof sunken behind. Typically a roof sky-lantern of your choice would be positioned centrally within this flat warm deck roof. This traditional orangery style has a unique presence and is well suited in many applications. With lintels and brickwork above all doors and windows, the Traditional Parapet Orangery has many admirers. Traditional Fascia Orangeries are characterised by their bold, cladded and sometimes sculptured fascias on the sides and front of your new flat warm roof deck. This particular category of orangery has many different styles and finishes. Over the years it has become recognised as the most popular traditional orangery design. Richard Thomas Livin Room Orangeries had been a popular choice for many years. This orangery is a hybrid system maximising the natural light available from the Sun, whilst providing the function of an extension. Creates a whole new dynamic to space. You can maintain light and space by using windows all around OR you can design your Living Room with brick piers and different wall options. Has superior thermal efficiency when compared to a standard conservatory. This real room/living room feel means you have more styling and furnishing options. 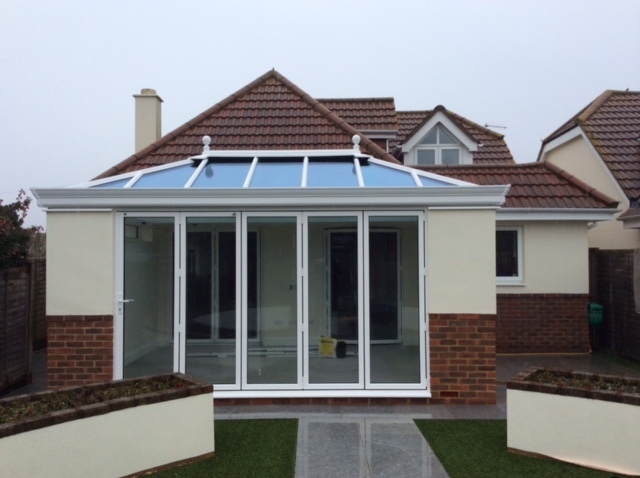 Richard Thomas Logia Orangeries are affordable, luxurious extensions of your living space, that stay warm in the winter and cool in the summer. 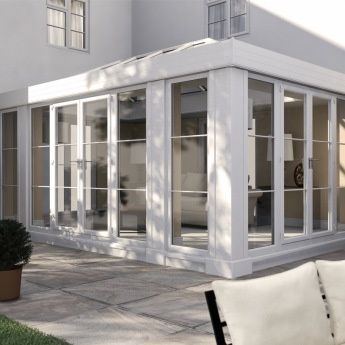 Available in 3 styles; Loggia Prestige, Loggia Premium and Loggia Ultimate, Loggia is a modern building system that provides the best way to build the most contemporary orangery extensions. it replaces the traditional conservatory and makes orangeries affordable. Beautiful, comfortable rooms all year round that add value to your home and enjoyment to everyday living. A unique building concept that creates beautiful extensions with revolutionary engineering, that harmonise perfectly with any home design. 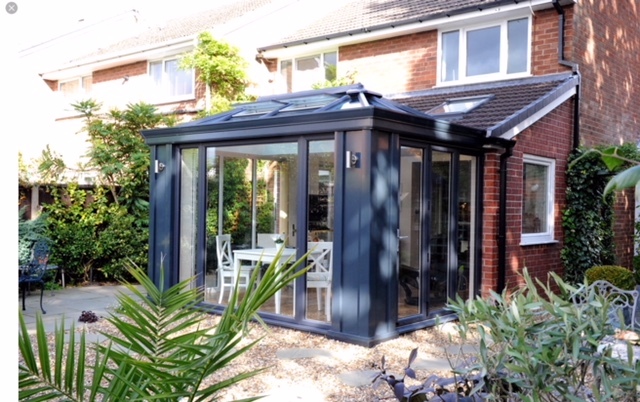 The addition of a Richard Thomas Loggia extension will improve the value of your home significantly more than a traditional conservatory, making it a sound financial investment too. Browse our Orangery gallery below to view some of our most recent projects. Click to zoom.